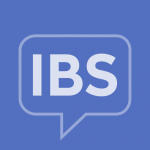 Have a question about IBS and aren’t sure where to turn? The Q&A feature helps you get quick answers and suggestions from other community members. You can search through previously posted questions to see if someone has already answered yours, or post a new one. Check out the video below to learn how to make the most of the Q&A feature! See a question and think you can help with an answer? Jump on in! Even if an question already has an answer, different perspectives and opinions are always welcome. To help answer a member’s question, just type your answer in the grey “Share Your Answer” box and click the blue “Post Answer” button to submit.